‘White Race Will Be Extinct In 40 Yrs’. A leading Muslim businessman predicts Australia’s white race will become extinct within 40 years because Australian men are too busy smoking, drinking beer and taking drugs to procreate. 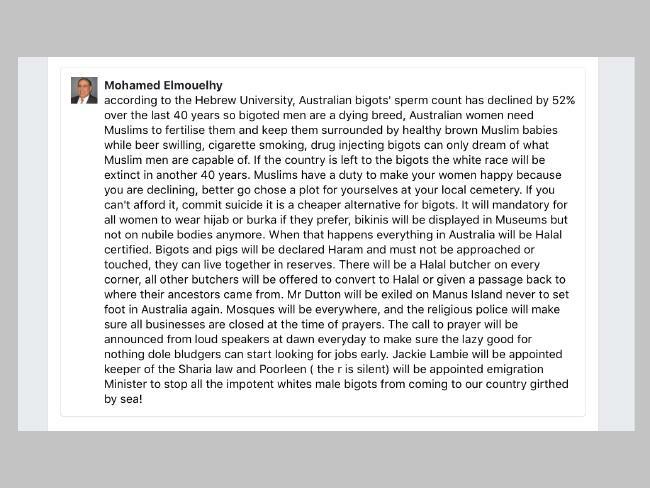 Halal certification boss Mohamed Elmouelhy told his Facebook followers Australian women needed Muslim men to ‘fertilise them’ and ‘keep them surrounded by Muslim babies’. Mr Elmouelhy made the comment after Hebrew University in Jerusalem published research which showed sperm counts in men from Australia, New Zealand, North America and Europe had declined by more than 50 per cent in less than 40 years. ‘Your men are a dying breed, Australian women need us to fertilise them and keep them surrounded by Muslim babies while beer swilling, cigarette smoking, drug injecting can only dream of what Muslim men are capable of,’ he said. 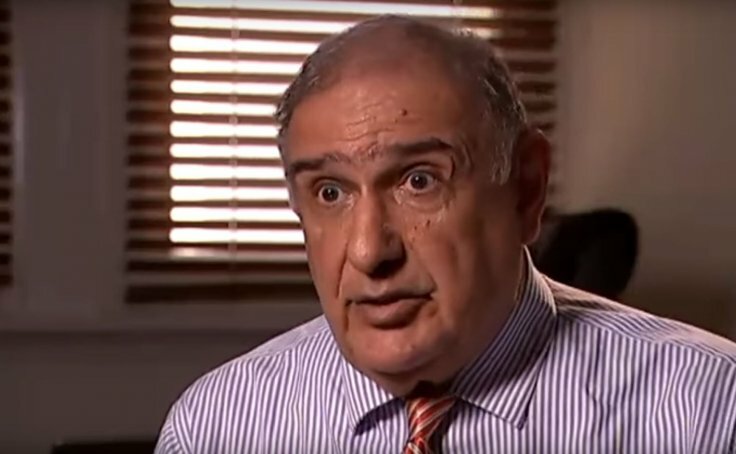 Mr Elmouelhy, who is the president of Halal Certification Authority, said Australia’s white race ‘will be extinct in another 40 years’ if the country is ‘left to bigots’. The Muslim businessman called on these ‘bigots’ to kill themselves or plan to die. ‘Because you are declining, better go choose a plot for yourself at your local cemetery,’ he said. […] Mr Elmouelhy’s latest post comes just days after he predicted more non-Muslims in Australia would be eating more halal food than ever. The 2016 Census revealed that Muslims made up 2.6 per cent of the Australian population, up from 2.2 per cent in 2011. It can’t get anymore clear we are facing a hostile invasion and our foolish goodwill towards all is being exploited to literally conquer us.